Hormones are chemical messengers that manage many bodily functions. Balanced hormones help you maintain good health, but shifting or unbalanced hormones can negatively affect your health. Hormone testing can identify hormonal imbalances to provide insight as to whether hormone therapy to balance your hormone levels could improve your health, vitality, and quality of life. Saliva and urine testing are the most accurate ways to test for certain hormone imbalances. At Vitality Medical & Wellness Center, we use the Complete Hormones™ comprehensive urinary test for hormone testing. 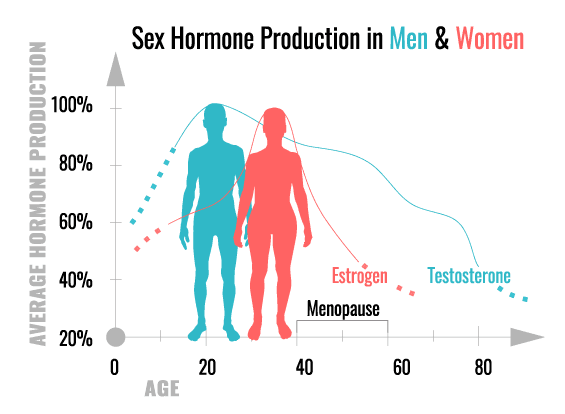 This form of testing allows for convenient sample collection and provides more comprehensive indicators of hormone metabolism for more extensive and useful results. The Complete Hormones™ test measures parent hormones, their metabolites, and key metabolic pathways. We can also perform blood or saliva tests, if necessary. With your test results, a customized hormone or nutritional therapy program can be put in place. Such personalized information helps determine which treatments are best for your needs. At Vitality Medical and Wellness Center, we offer pellet implantation, a bio-identical option for both men and women in need of hormone replacement. Treatment with hormone therapy can improve your symptoms and quality of life and may reduce your risk of certain diseases. In short, it can lead to the eradication of most (if not all) of the symptoms listed above as well as other symptoms related to hormonal imbalances.